On a frigid New Year’s Eve in Minneapolis, a young woman’s brutalized body falls from the trunk of a car into the path of oncoming traffic. Questions as to whether she was alive or dead when she hit the icy pavement result in her macabre nickname, Zombie Doe. Unidentified and unidentifiable, she is the ninth nameless female victim of the year, and homicide detectives Sam Kovac and Nikki Liska are charged with the task of not only finding out who Zombie Doe is but who in her life hated her enough to destroy her. Was it personal, or could it just have been a crime of opportunity? Their greatest fear is that not only is she their ninth Jane Doe of the year but that she may be the ninth victim of a vicious, transient serial killer they have come to call Doc Holiday. Crisscrossing America’s heartland, Doc Holiday chooses his victims at random, snatching them in one city and leaving them in another, always on a holiday. If Zombie Doe is one of his victims, he has brought his gruesome game to a new and more terrifying level. But as Kovac and Liska begin to uncover the truth, they will find that the monsters in their ninth girl’s life may have lived closer to home. And even as another young woman disappears, they have to ask the question: Which is the greater evil — the devil you know or the devil you don’t? I loved this book! The storyline was great and although it's a crime/thriller novel, it's filled with humour... I laughed all the way through. 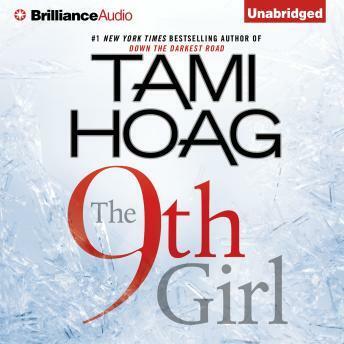 This is the second book I've listened to in the Kovac and Liska series and I will definitely be downloading more. I was hooked from the start. David Colacci is an excellent narrator and I'll also be downloading more from him. A classic Tami Hoag! With this author you know what you're in for. This story kept me on the edge even though I basically figured-it-out by mid-way through. Entertaining though and consistent with her other books.